In today’s post, we are going to look at a very successful multilevel marketing business called Nutri-Metics International. This company offers personal care, home care, and health & wellness products. I am going to research and provide history behind Nutri-Metics International. I will also give you a review of the Nutri-Metics business and opportunity. Lastly, I will tell you some cool facts that I discovered about Nutri-Metics International. Keep in mind that I am not affiliated in any way with Nutri-Metics International. I am providing this for educational purposes so you can determine if you would like to start a Nutri-Metics home based business, or use any of the Nutri-Metics products. It is my understanding that a young scientist was traveling throughout the world attempting to find people who looked and lived longer than others. When he happened upon the Hunza Tribe in the Himalayan Mountains, he noticed that they had youthful appearances, and he wanted to find out why. In studying these native people, he found that they used oils from apricot seeds. These were nutritional rich oils that did wonders to their skin and complexion. This was the basis of Nutri-Metics. In the mid 1960’s, a couple by the name of Bill and Imelda Roche founded Nutri-Metics in their home country of Australia. Imelda had a desire to help other women succeed in business, so they began using the multilevel marketing business format so that other people could enjoy fruits from the sales of Nutri-Metics products. As the business grew in the Southern Hemisphere, Bill and Imelda opened the opportunity up internationally. The Nutri-Metics business grew by leaps and bounds across the world. In 1997, Bill and Imelda sold Nutri-Metics International to the Sara Lee Corporation for a large amount of money. Nutri-Metics is still going strong today in many countries. Nutri-Metics International uses a party plan system. Many of the independent representatives have exclaimed how wonderful Nutri-Metics has been to them. Customers are quite happy with the products they have used from Nutri-Metics. Hostesses have a great reward system when they book parties to demonstrate the many Nutri-Metics International products. These are just a few of the many products offered through Nutri-Metics International Independent Representatives. With all the years that Nutri-Metics has been operating, I did not find many negative reviews about them. They seem to be a firm multilevel marketing company. While researching this article, I came across several cool facts. I wanted to share some of these with you. Nutrimetics is on Facebook here. Nutrimetics is on Twitter here. and, Nutrimetics is on YouTube here. Nutrimetics is on Pinterest here. Bill Roche left school at 13 years old, but still made millions. Imelda Roche became Chancellor of Bond University from 1999 to 2003. Besides selling Nutri-Metics International to Sara Lee for a huge sum, in 2014, the Roche’s sold the real estate the Nutri-Metics headquarters was located on in the Balmain district of Sydney, Australia. They received $58,000,000 from Toga Group. 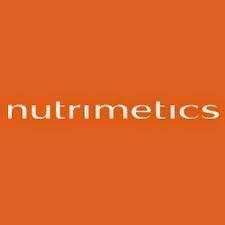 Nutri-Metics International has offices in Australia, New Zealand, France, Thailand, and Brazil. Avalla Corporation is the sole distributor of Nutri-Metics in North America in agreement with Sara Lee. Overall, Nutri-Metics seems to be a very reputable company. If you are currently, or have been a Nutri-Metics representative, we would love to hear from you. Tell us what Nutri-Metics has done for you. What are your favorite Nutri-Metics products? If you think you would like to try any of the products, or possibly start a home based Nutri-Metics International business, I suggest you visit the website that is linked in the reference section below. You can post any questions, comments or suggestions you have related to Nutri-Metics International in the comment section at the end. 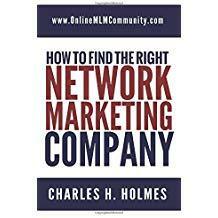 Disclaimer: Neither I nor the Online MLM Community is affiliated in any way or form with Nutri-Metics International. This is not a paid review. It is written strictly for your information.